This box was made to house a set of throwing knives. 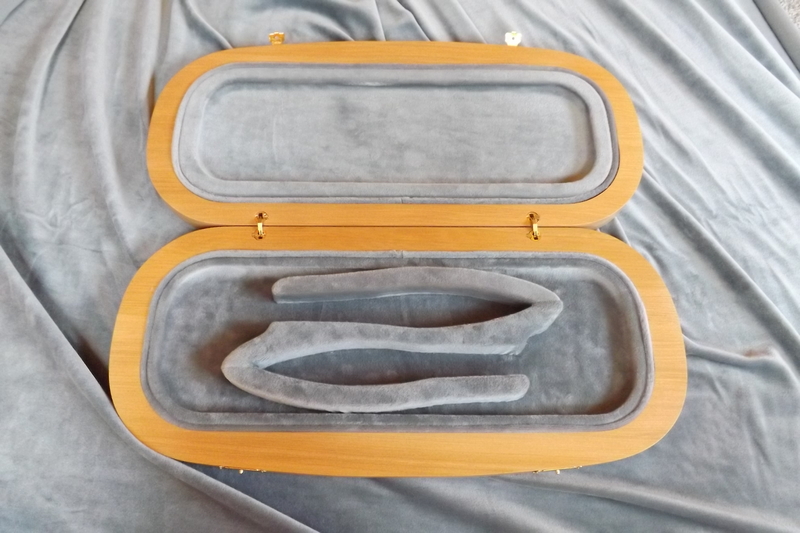 The upholstered shape in the box held two sets of knives sitting opposite each other. It is made from swamp kauri and has grey velvet lining.